Alessandro has been fully involved in the technological,commercial and logistics development of WOR(l)D since its inception.On top of these tasks, Alessandro conceived the marketing strategy for the corporate. Specifically, Alessandro was the one who conceived the Pay Plan, a compensation plan which allows consultants to earn money through the Wor(l)d platform. Pay Plan was conceived by Alessandro not only as a marketing idea but was also implemented over a lengthy IT development project which is today’s success within the Wor(l)d system. Alessandro comes from an IT and Project Management background. He graduated in Computer Science in 1996 and pursued his PHD in Computer Science in 2004 at University of Salerno (Italy). 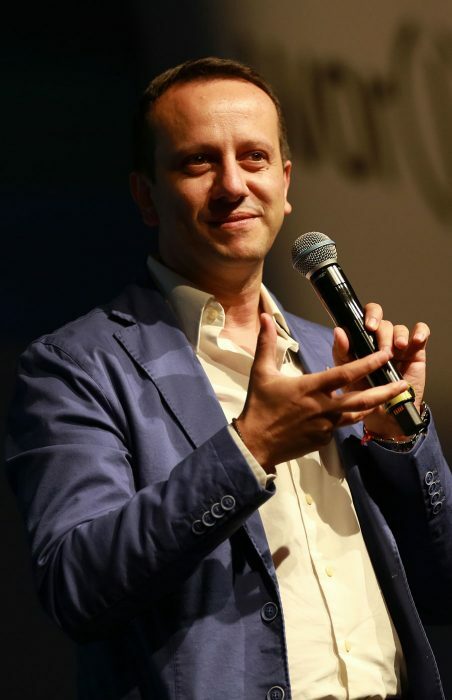 Alessandro created and run his first own business called PubliRete from 2001 to 2004, an IT company developing web portals and communication solutions over mainstream media networks. In 2004 he joined the CRMPA (Research Center in Pure Applied Mathematics), a research centre within the University of Salerno which led academic research over mathematical models applied to Information Technology theories and worked on projects related to E-Learning.On 2006 he widened his interests on Business Intelligence and became Project Manager at Sis-temi Corporation. Here he developed applications for various important corporates helping those managing businesses to control growth and assess risk factors. From 2008 until 2010 Alessandro joined Telme Communication Pte Ltd, a Singapore based Telecommunication and Network Marketing company that successfully operated all over the world. This was a very important experience because he had the opportunity to understand the huge potential connected to the direct selling industry which champions the consumer’s personal experience.